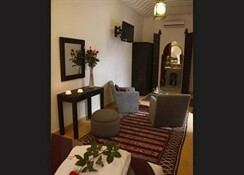 The luxuriously decorated Riad Shaloma is a traditional riad set right in the centre of the ancient and historical medina quarter, just a short stroll from any number of sights and attractions in the city including the famously atmospheric Jemaa El Fna Square where street magicians enchant visitors, the Koutoubia Mosque and the Bahia Palace to name but a few. 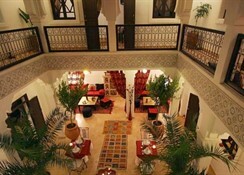 The hotel offers luxurious accommodation for guests to enjoy and boasts a stunning roof top terrace for guests to sunbathe by day in the African sun and stargaze by night and there is an inner courtyard for guests to soak in the tranquil atmosphere and relax after a busy day sightseeing in the Red City. 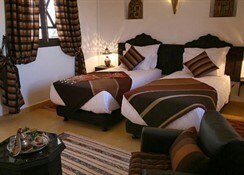 Each of the rooms have been restored and decorated to a high standard in an Arab-Andalusian style, with keen attention to detail and handmade furnishings throughout. Each room comes equipped with TV with premium channels, wake-up calls, a hair dryer and an in-room safe along with air-conditioning, bathroom with toiletries and Wi-Fi connectivity. For dining there is a restaurant serving local specialities for guests to enjoy, plus there is a bar lounge for those seeking to enjoy a refreshing beverage of an evening. Additional amenities include a 24-hour front desk, air-conditioned public areas, concierge desk, self-parking, safe-deposit box and tour assistance. 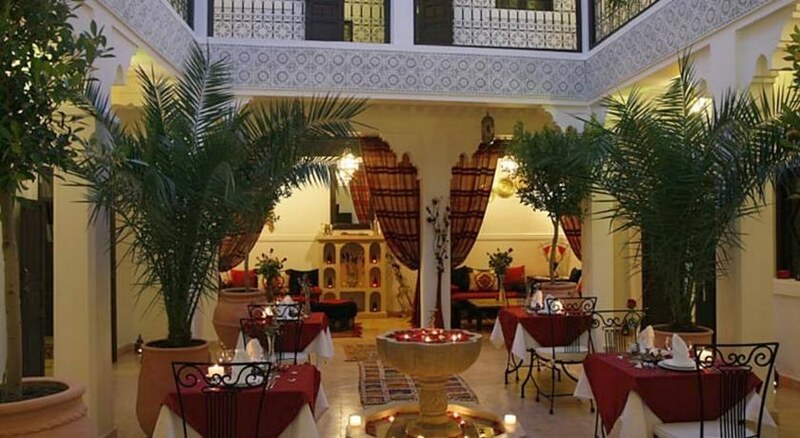 The Riad Shaloma guesthouse is an authentic Moroccan riad ideally suited to those seeking an intimate stay in the heart of the city. There is a stunning roof terrace for guests to sunbathe and relax on. 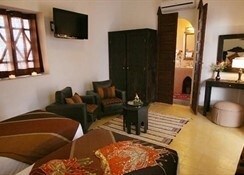 Each of the rooms have been restored and decorated to a high standard in an Arab-Andalusian style, with keen attention to detail and handmade furnishings throughout. Each room comes equipped with TV with premium channels, wake-up calls, a hair dryer and an in-room safe along with air-conditioning, bathroom with toiletries and Wi-Fi connectivity. Certain amenities may be payable locally. 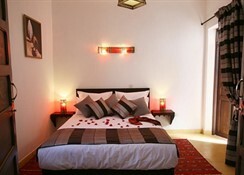 The hotel boasts a restaurant offering a number of traditional dishes. 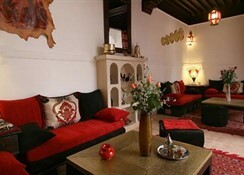 There is also a bar lounge for guests to enjoy.